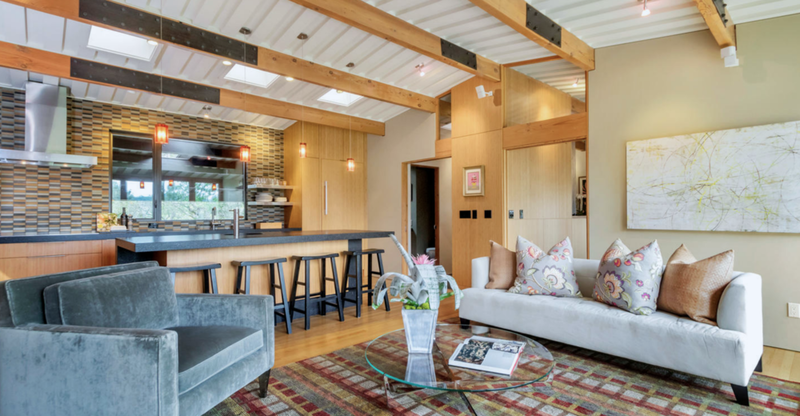 An update to a typical mid century house in Orinda. Removing walls to re-invigorate a dark kitchen and installing a glass bridge bring daylight to the interior of the house. 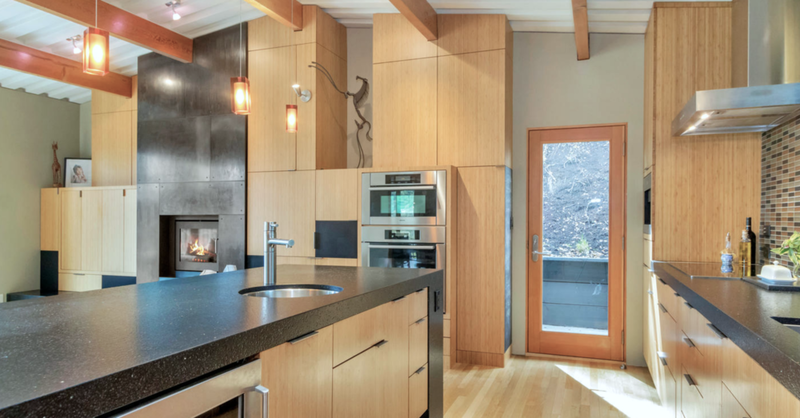 Bamboo cabinets and steel are combined to form large interior cabinet walls.